There are also you tube channels. 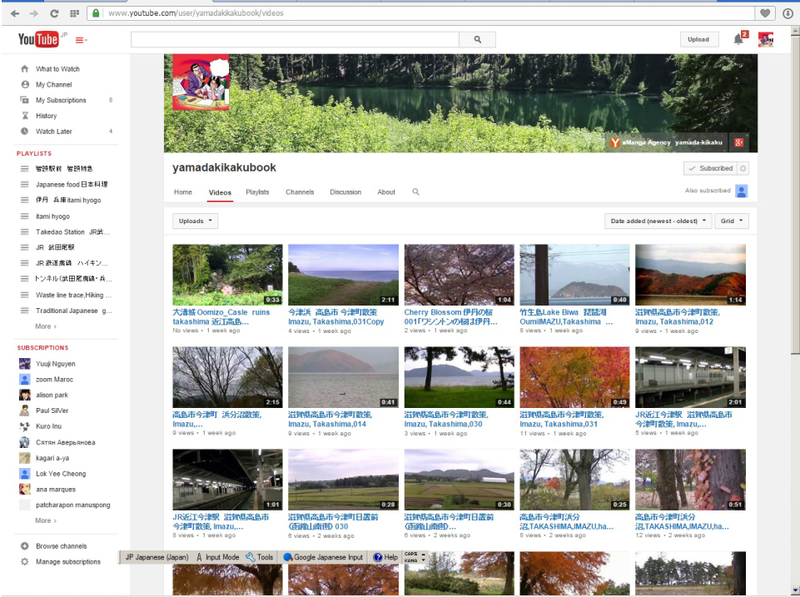 I would like to introduce my Japanese beautiful and daily scenery videos. Yamada Kikaku' Travel diary.Plese show my video diary. I will show japanese scenes. will show Scenery in japan.I,yamadakikaku want to introduce the beautiful Scenery in japan. You can show beautiful japanese scene. We have 4 seasons. I take video view from JR train. you canl show a beautiful Jananese scenes. There are aiso Japanese beautiful and daily scenery photo albums.